Found these articles today, the 2nd by Scott Bartle, who’s in the video in the last post. These may be helpful references for those wanting to understand what kind of corporatizing of the world’s governments has been going on. 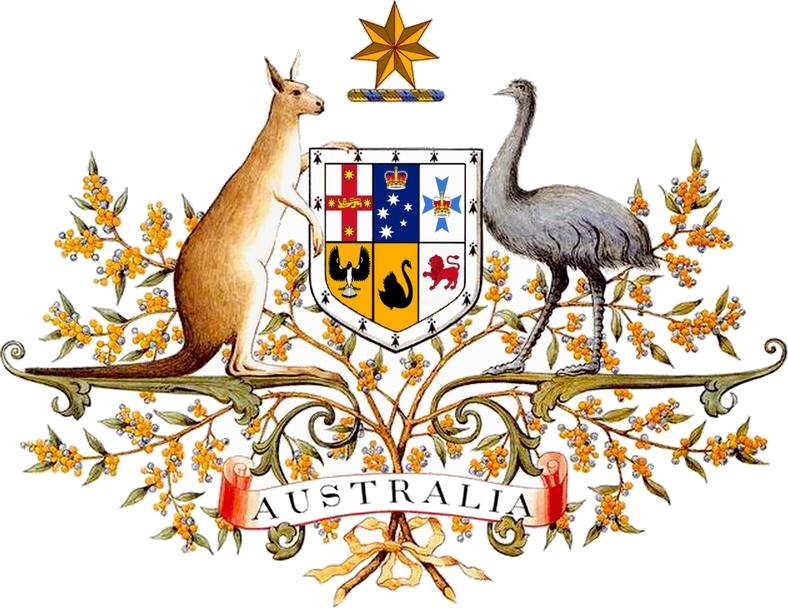 The Great Seal of Australia, a trademark registered with United States Patent and Trademark Office. Which represents real (de jure) government in Australia? Which is seen on “government” literature ? Interesting! So what could all this mean? For the purpose of this article we will follow the example of Australia. Well, that certainly raises some questions! Why is a company called ‘COMMONWEALTH OF AUSTRALIA’ registered in Washington DC? What reason could there be for a country to be registered as a company? By definition, aren’t corporate and government entities mutually exclusive? And doesn’t government regulate companies? Why would Australia be registered with the SEC in the United States? And why would it provide a ‘Prospectus’ and annual ‘Economic and Fiscal Outlook’ documents to the SEC? And be subject to SEC regulation? Why is the Great Seal of Australia a trademark registered with United States Patent and Trademark Office? Could the ‘Australian Government’ be a corporate entity masquerading as real government, for profit, and not for the purpose of governance? Does the ‘Australian Government’ truly represent “the people” and not shareholders in another country? Why do today’s government departments have corporate mission statements like “we provide services on BEHALF of government” and “our CLIENTS include government…”? What happened to “we ARE government”?? Does this suggest they are NOT true government, but a company masquerading as government? If a company registered in Washington DC is falsely claiming government status in Australia, what happened to the real (de jure) government with a similar name? And when? And are the laws in Australia therefore just rules for employees and contractors of the corporation? Perhaps it is a requirement that the Commonwealth of Australia registers as a company entity in order to trade with the United States of America. Are all the other countries who trade with the United States also registered on the American SEC? Is ‘the United States of America’ also registered with ASIC, the Australian Securities & Investments Commission? And is Australia similarly registered with the corresponding trade regulators in other countries? … But this strange corporate entity is only half the story. Before government bonds can even exist, surely there must first be a legitimate government. In Australia, the Governor-General is the representative of the Monarch (currently Queen Elizabeth II) and the Administrator of Government. Given that the Governor-General administers government in Australia, government can only exist in Australia with a valid Governor-General. 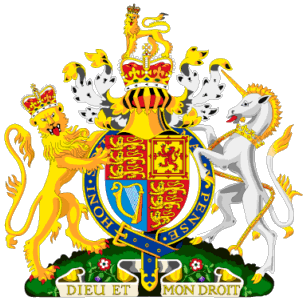 The Governor-General is reliant upon the existence of the ‘Office of Governor-General’, which was originally constituted by the late Queen Victoria in Letters Patent dated 29th October 1900, passed under the Monarch’s seal – the Great Seal Of The United Kingdom (view Letters Patent 1900). The power and authority to revoke, alter or amend those Letters Patent was reserved by the late Queen Victoria to her heirs and successors. Given those Letters Patent were issued under the ‘Great Seal of the United Kingdom’, surely any revocation, alteration or amendment must be issued by an heir and successor under the same Seal. Surely such an attempt at revocation cannot therefore be lawful? And if not, what Office is the Governor-General in Australia presently occupying? Is the person we call “Governor-General” truly a representative of an “heir and successor” to the late Queen Victoria? Given that the Governor-General appoints Ministers, Judges, Commissioners and Justices of the Peace, and ascribes Royal Assent as the Monarch’s representative in Australia – using the Monarch’s Seal – in the absence of a valid Governor-General, are there any legitimate government offices in Australia? Again… the answer appears to be NO. Wake Up World friend and colleague Scott Bartle documented his recent dealings with ‘Australian Customs & Border Protection Service’ in his self-funded documentary “What The FUQ? – Frequently Unanswered Questions of the Australian Government”. This simple, concise and sometimes hilarious case-study follows Scott’s ongoing interactions with a supposed “government” entity that simply does not behave as a genuine government agency should. And all he did was ask them to demonstrate their validity! To view this documentary in full, Click here. I highly recommended it. So… IS the “Australian Government” the same government the original Office of Governor-General was intended to Administer? Can you please demonstrate that today’s Office of Governor-General is the same Office that was constituted by the late Queen Victoria in Letters Patent of 1900? It is your right, after all. And there are certainly some details that don’t add up. But it gets better…. That’s odd, they certainly don’t ACT like a true government. At first “Government” may just ignore you. But since anyone claiming government status has a responsibility to prove it, their silence is very indicative, don’t you think? So push your Government a little further, and see what happens when you really start to question who’s who. Taxes & fines are suddenly waived, and miraculously, licenses & permits are no longer required! And it doesn’t stop there. Is this situation unique to Australia? Can you please demonstrate that today’s government is the same one as established at the inception of this country? Demonstrating its own legitimacy is a very simple thing that every government agency should be able to do. And in a true democracy, silence is an unacceptable response of government to questions of its very legitimacy. But today the “Australian Government” appears unwilling or unable to prove its legitimacy. It only takes a few minutes to write to your local member’s office. Please come back to Wake Up World and tell our readers how your enquiry was met. Silence? Jargon? Or a simple demonstration of your government’s legitimacy? So what the FUQ do we do next? Written enquiries made to Ministers and Government agencies, to the Office of the Prime Minister and to the Office of Governor General remain unanswered. So in the absence of a response from Government, Wake Up World supports respectfully escalating this matter to the current Monarch, Her Majesty, The Queen. Surely Her Majesty must know the answer; why a corporation in the United States bears the name ‘COMMONWEALTH OF AUSTRALIA’; why in 1984 her authority to amend the provisions for the Office of Governor-General was granted on a company letterhead; why those claiming to represent true government in Australia have been unable to prove that status; and why some, when challenged, may suddenly overlook one’s obligations and run silently in the other direction. …and ask Her Majesty for the truth. …we all have a right to know. …it is just one simple question. In a true democracy, silence is an unacceptable answer of government to questions of its legitimacy. Andy Whiteley is co-founder of Wake Up World. Special thanks Scott Bartle for travelling 4,000 kms to help join the dots.